It's late August in Hoboken meaning it's time for yet another hot issue to strike. While many people are on vacation the 21st century has bumped square into Hoboken's regulated cab service squaring up against car sharing innovators. Uber, a car service using the internet to match riders and drivers is stated as present in Hoboken, doing business and winning hearts and minds over the traditional regulated cab industry. One is beloved and the other is not feeling the love. A NJ.com story showed lots of controversy and much confusion on the matter yesterday. Apparently, state law has not caught up with the new car sharing innovation and there's some confusion about what is allowed within Hoboken on local destinations and beyond. Mayor Dawn Zimmer acted on the issue back in April asking state officials to look into the matter and act to update the laws to fully resolve the issue of who can rideshare in New Jersey. 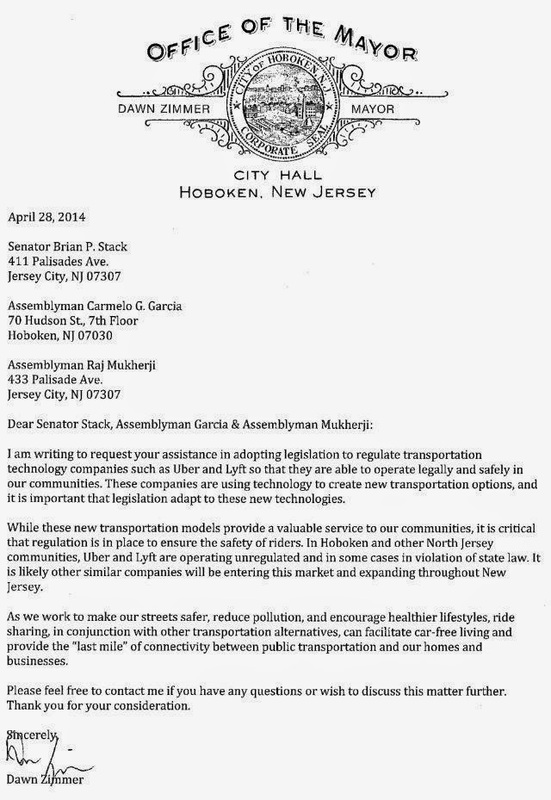 A letter to State Senator Brian Stack and the two Assemblyman requested updated transportation legislation to tackle the problem. It's unclear currently what the trend is in New Jersey to level the playing field between a new, aggressive technology based car sharing firm and the traditional cab services who pay the City of Hoboken for the right to operate cabs in town and points beyond. One thing is certain. In Hoboken, there's always hot issues and the taxi question is about to get red hot. 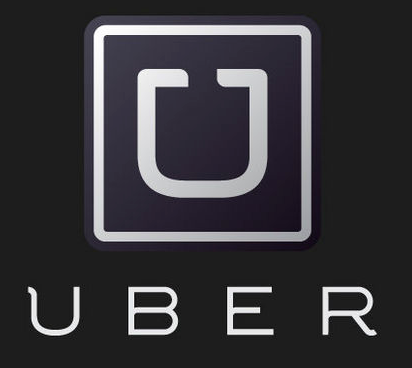 The UBER car sharing service is making waves in Hoboken. Statewide laws however have not addressed the concept and regulations.